Well, as you know a year is a very long time in a child's development and Rosie is no exception to this. She has come on leaps and bounds and whilst she's still our same little Rosie she is also so very different to a year ago and different in the most positive of ways. Hitting out and smacking has almost become a thing of the past and she communicates verbally so much better now which I think has played a big factor in this change. There have been big changes also for Rosie at school where she is now in Year 1 with a new teacher and a different 'one-to-one' arrangement. 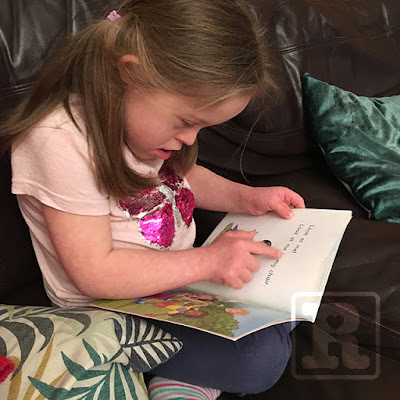 We are eternally grateful for everything the teaching staff have done for her in Reception – without their structured approach to working with Rosie I can confidently say that she wouldn't be at the stage she is now. They provided Rosie with an essential base from which she is now steadily building on. We were initially concerned about how she would deal with the change as she was so settled in Reception. She was now faced with the daunting prospect of a new and bigger class, a different classroom with a new teacher and two new one-to-one's (who all do a brilliant job). Thankfully she has (and not for the first time) surprised us by adapting really well – we haven't had any kicking and screaming episodes with refusals to go into school, I guess that might come in her teens?! Things have been progressing so well to the point that she's recently started to line-up with the rest of her class and walk herself into the classroom without any assistance – a clear sign of independence but also that she is happy in school which is very reassuring for us. It's also reassuring for me to see Rosie adapting so well. Knowing she will have to face many changes to routines and situations in life moving forward – getting her used to this from an early age will do her no harm at all. As you'll see from the images below Rosie loves bringing reading books home and learning to recognise words, she's not at a stage of being able to read full sentences yet but that isn't a concern, we're pleased she is happy to sit down (relatively still!) and browse through books at all – the rest will follow in her own time – nothing new there! I've also included a couple of pics from a special day for our whole family back in November when we were invited to Buckingham Palace by HRH The Countess of Wessex to celebrate Mencap's 70th anniversary. Sadly we aren't allowed to show the images from the Royal photographer on a public forum so I've included a couple from outside where we had the chance to get a couple of snaps with friends Sarah Gordy and 'Super Seb'. Yesterday saw the official launch of the Mencap 'FamilyHub' – A new online community for parents and carers of children (young and old and yet to be born!) with a learning disability. This will be a great resource for people to exchange ideas, share experiences and offer support to those in need. It's not always convenient to visit a local group for support and many people are afraid to ask questions face-to-face for fear of sounding silly or selfish or even being judged. An online forum is the perfect place to ask such questions at a time and place that suits you. 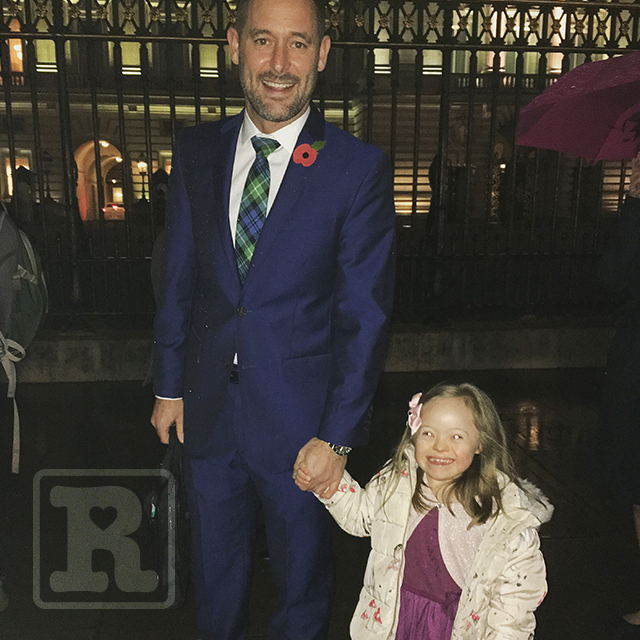 As a Family Ambassador for Mencap I am very proud to be a part of this community and as such was asked to write the first post for the forum. I actually found parts of it difficult and distressing to write as I had to take myself back to a time when my ignorance of Down's syndrome knew no bounds but I want other parents who may be struggling to come to terms with a diagnosis to understand that they are not alone and however bad they feel the journey will get easier. I have included the post below however I urge you (if you are a parent or carer of someone with a learning disability) to read it in the forum and sign up by clicking here – you never know you might just have that burning question answered or be able to help someone else. 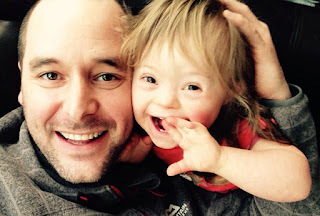 I’m proud to be a family ambassador for Mencap and as such was asked if I would write a post aimed at other parents who may be in a similar situation to the one I found myself in when my daughter was diagnosed with Down’s syndrome. Hopefully the following post can offer some positivity or at least reassurance that no matter how afraid or confused a new parent find themselves, they are not alone. I would assume there are many different reasons that you may find yourself here reading this post, a fear of the unknown, a need for reassurance perhaps? Whatever your reasons I can almost guarantee you are not unique or alone with your current situation. 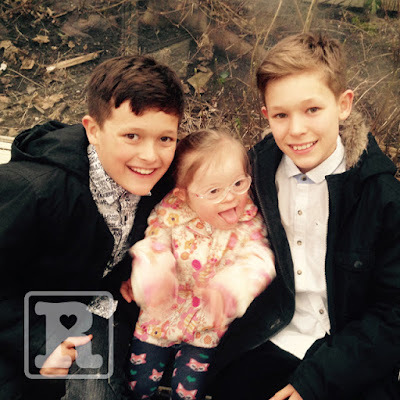 I’m a Dad of three – my two sons, Harry and Joe, and their younger sister Rosie who happens to have a learning disability – a SEVERE learning disability if you go by the often negative words used to describe Down’s syndrome (DS). Rosie is 5 ½ years old and has not only opened up my eyes to a wonderful new place (I was once afraid of) but also everyone else’s around her, to see beyond the myths associated with DS that I once believed to be reality. My wife Karen and I knew pre-natally that our daughter would have DS and so my story began before I’d even set eyes upon my baby girl. I remember the emotions well, deep shock and anxiety and a complete fear of the unknown. Some of my feelings which I have kept locked-up (until-now) were not only irrational but completely selfish, even disturbing to me at times. Perhaps they say more about the person I was then or perhaps (more likely) they are a perfectly normal part of the rationalising process the mind takes when trying to digest such life-changing news. Whatever the reasons, they were real and I’m sharing them here now to maybe reach that person who is equally disturbed by their own similar feelings. 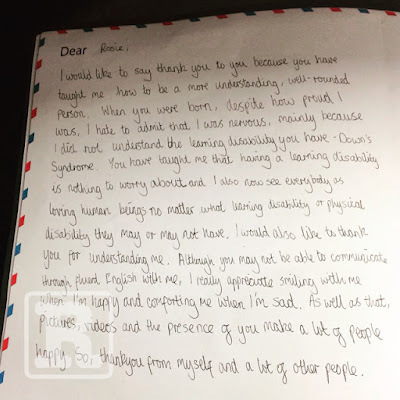 It isn’t easy for me to write these things down let alone share them publicly because really the ‘pre-Rosie’ me is referring to Rosie, her friends and anyone else I’ve ever met or now have the pleasure of knowing who has DS. I feel ashamed I ever had such ignorance, but I am learning not to beat myself up about it as it’s a life-lesson that has enlightened me in such a positive way. My ignorance of DS knew no limits back then and I remember thinking thoughts like, I hope she doesn’t look really ‘Downs’. I searched hundreds of pictures trying to find reassurance that ‘they’ don’t all look the same and that ‘they’ can look beautiful too. 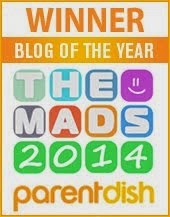 I couldn’t have been more selfish in my thoughts and this continued certainly for the first few weeks post-diagnosis. Finding out pre-natally gave my wife and I the time to get used to the idea that our daughter has special needs. As a result I can’t talk from any experience of a postnatal diagnosis but I would imagine the shock is similar – it’s just you may be taking time to adjust and learn in the first few weeks after the birth rather than before. 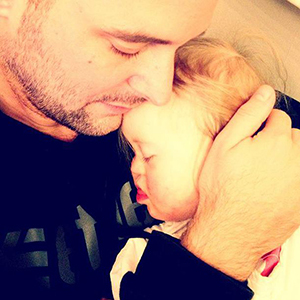 At some point the time will come where you see past the diagnosis and see the person – the beautiful, unique child that looks more like you as parents than someone else with DS. 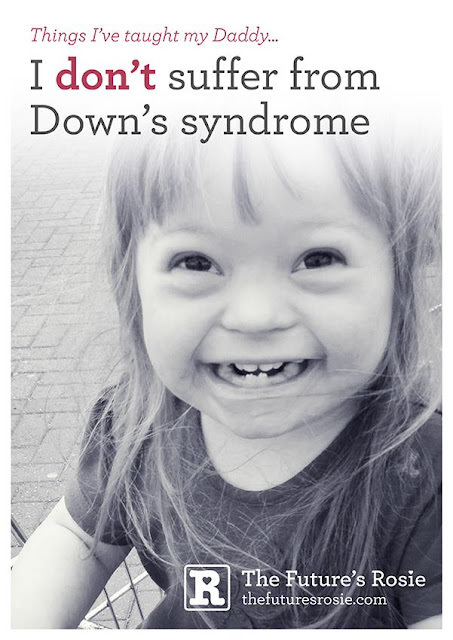 For me the shift in change began a few hours after Rosie was born, she wasn’t just the ‘Downs baby’ my wife was carrying but my daughter who happened to have a little extra (chromosome in this case!). 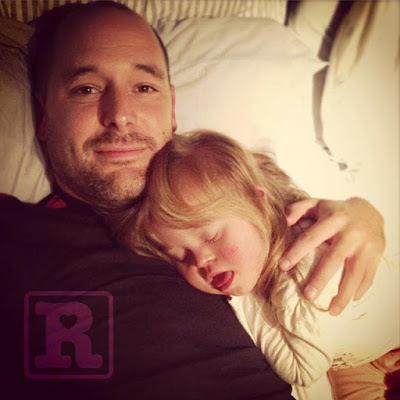 Many of those selfish fears and concerns turned to feelings of protection for Rosie. I won’t lie, things hadn’t changed so dramatically that I was in full ‘moving on’ mode but it was a solid step forward towards seeing beyond the syndrome. However, even after all these feelings of overwhelming love for my new baby I had pangs of guilt as I realised they still couldn’t totally overrule the fears. It was at this point that I knew this process of acceptance was going to take me some time. I decided I would clear my head and re-jig my thoughts by allowing myself to enjoy the wonderful life that lay there right in front of me, a life that needed and wanted me – take it hour-by-hour I thought, at least for the time being because consuming myself with anxiety really wasn’t the answer. I convinced myself I was on the right track at least by taking steps – yes they were tiny but at least they were forward ones and so stopped beating myself up that I was some kind of terrible Dad. Things really changed significantly for me six months after Rosie’s birth. 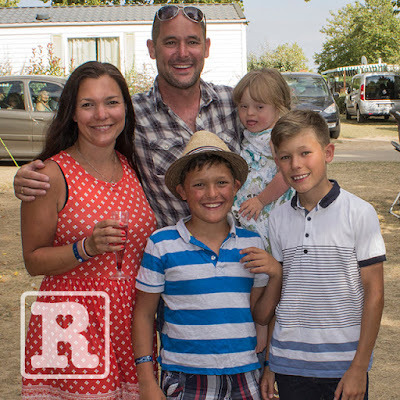 In September 2011 Rosie had to endure over seven hours of open heart surgery which as you can imagine was a very traumatic time for the whole family. It wasn’t a bolt out of the blue, it was something we knew would be on the cards shortly after her birth but nothing really prepares you for the moment. 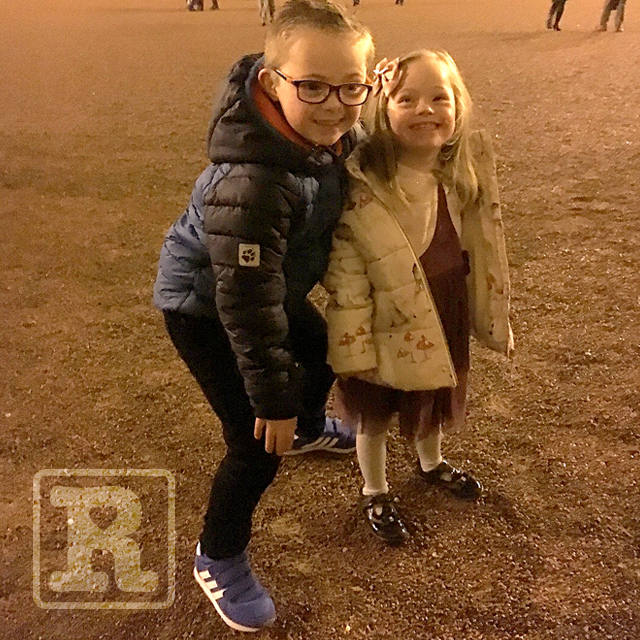 As I sat by her bedside in the intensive care unit at Alder Hey Children’s Hospital I held her tiny hand and gazed at her in total awe of the strength and bravery she had shown – it then dawned on me that for the whole time in hospital I hadn’t thought once about the fact she has Down’s syndrome, it had, at this point become totally insignificant for the first time since we’d had the diagnosis. All I wanted was to get my baby girl home safely. Even now though, over six years on from the diagnosis I still have fears for Rosie’s future, I worry about my two son’s too though if I’m honest – but that’s just being a parent I guess?! What if I don't ever get used to the inevitable stares from the ignorant corners of society? What if Rosie can't ever walk? What if Rosie attends school and she's the only person in her class not to get a party invite? What if she's bullied and picked on by her peers and she thinks they are her friends? What if name calling leaves a lasting mental scar on her and/or her brothers? What if she becomes too dependent when she's older? What if I become so protective it affects her ability to become independent? What if I can't do enough to help her reach her full potential? What if I can't afford the extra classes or development tools she could really use to her benefit? What if...and the list goes on. Thankfully the majority haven’t materialised and those that have (the odd stare now and then) have been so minor they’re as good as insignificant. Rosie has been a breath of fresh air to our family and the highs (so far) have most definitely outweighed any lows. 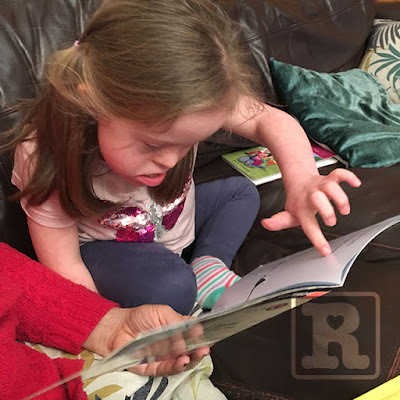 She’s in a mainstream school now, has lots of friends both with and without DS and has so many people around her who love and care for her and want to see her reach her full potential as much as we do. 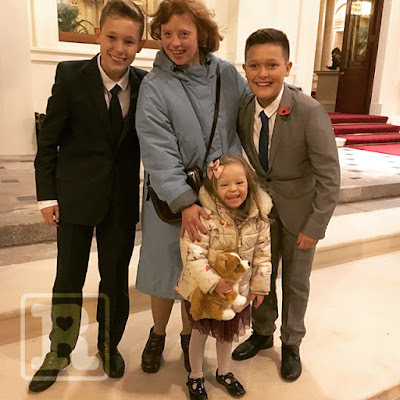 Her brothers both dote on her as they would any younger sister and have shown nothing but pure affection and pride in her – I have yet to see them struggling or finding life too restricting – as is often the worry for siblings of a child with a disability. Whilst there are still society stigmas associated with learning disabilities, charities like Mencap have really made a difference and are pathing the way for more and more people to reach their ambitions and receive the support they need to achieve these goals. We all deserve the best chance at life no matter what our situation and my daughter who happens to have DS is no different in my opinion. She deserves to be given the chances she needs and she will. So, if you are a parent struggling with a diagnosis I’d say remember that for many, the process of making sense and coming to terms with things can be a marathon not a sprint. No matter how frightened, confused or worried you are you can guarantee you’re not alone and these feelings are totally natural. I’m almost sure every one of us has been through them, and yes, whilst we’re all different and will manage the ‘coming to terms with’ process differently, it’s important to know it is a process and it will get easier. If it takes you longer than others it doesn’t make you weaker or any less a person it simply makes you human. 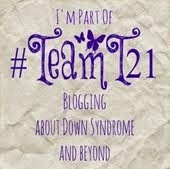 I hope those of you that tuned into watch "A World Without Down's syndrome?" enjoyed it as much as I did. 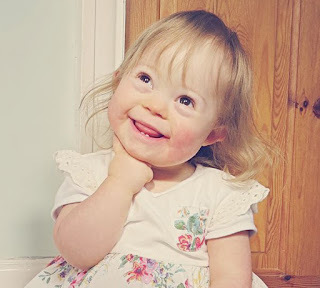 "There is hardly anything more beautiful than seeing the two of them together, because there is such a strong bond and so much love"
As I mentioned in my blog post, Sally has shown great courage to make this documentary. Why? well because aside from all the amazing responses she's now exposed herself to debate with which comes an onslaught of 'doubters' who thought last nights programme had a hidden agenda – to guilt trip any new parents into keeping their unborn child with Down's syndrome. A) to spark a much overdue and vital society debate as to the ethics of the new non-invasive screening for Down's syndrome (DS), because let's face it, if it starts with DS where does it end up heading? We are all, every single last one of us imperfect in so many ways after all. B) to show the side that has almost no voice at the point of diagnosis. The real life stories of families living with DS. The side that might help take the fear away at a time when you are led to believe your world is caving in. It's this kind of more balanced information that will help a couple to make a more INFORMED choice. The scales just aren't fairly tipped at the moment. As a parent and advocate for DS (with a pretty small voice) I am so happy this documentary was made and aired. The tireless hard work so many people have been doing over the years has now been given a fair hearing and reached more people than we could ever have dreamed of and been delivered in such a brilliant, compelling, sometimes funny and above all, non-patronising way with zero hidden agendas. A big thank you to Sally for taking the gutsy plunge, for Hayley (Down's Side Up) for being brave enough to share her emotional story so publicly, to all the people involved from both sides for having the courage to share your thoughts on a sensitive subject and for the BBC for airing such a groundbreaking documentary. My theory on why Rosie is being so demanding is that it's down to her own frustrations – wanting to do more and probably getting annoyed when we don’t fully understand what she’s trying to communicate. I know I’ve said it before but we really are so lucky to have the support network we have around us and at times like this, when it doesn’t always feel like the future’s going to be rosie it certainly plays a huge part in enabling us to grind out the more difficult days. All that said Rosie’s as adorable as she’s ever been which just strengthens my feelings that much of this is temporary and not something we should be worrying about too much as yet. This last couple of weeks I seem to be in favour with Rosie – which I absolutely love! She knows exactly how to play me and how to pull on my heart strings. A great example of this occurred last night when I returned home. She heard my voice as I entered the front door and she was shouting out, “Ello Daddy!” at the top of her voice whilst kicking her legs in excitement. Such a welcome home after a below average day at work was the perfect tonic. She put her hand out and patted the sofa, indicating or rather ‘instructing’ me to sit next to her. As I did, she reached her tiny arm as far as she could around my waist and rested her head on me. Those overwhelming feelings of love surged through my stomach as if strengthening our already tight bond – it’s hard to explain but it really was a lovely father/daughter moment. We continued cuddling and then she leapt up suddenly and decided she wanted to put her dolls to bed next to us. As she tucked them in using the cushion as a duvet I played along and stroked her baby’s face and began to sing it a song – the same song I sing for Rosie when I tuck her in. “That’s probably more like torture” I hear you say but Rosie seems to love it or at least pretends to anyway! It's a Daddy-to-Rosie adapted version of ‘You are my sunshine’. It’s our little thing we have and she sings along with me as I stroke her tired face… Anyway I’m losing where I am… Oh yes, so I start to sing our song to her baby doll when Rosie suddenly reaches out to me, her eyes welling up and bottom lip quivering and say’s (in a really sad and desperate voice), “No Daddy, no”. I really wasn’t prepared for that reaction and I hadn’t realised just how much it mean’t to her but she was clearly upset that I was singing it to her doll and not her. I felt awful and proud all at the same time! She really is one in a million and I feel so lucky she’s my daughter no matter how tough things can get and will inevitably get in the future. No sooner did Summer come and it's already gone. For those of us living in the North there would be a strong case for questioning whether it ever came at all. Thankfully we were fortunate enough to manage two weeks camping with close friends in the beautiful and sunny Vendee area of France. This holiday marked Rosie's first ever trip abroad which was both exciting and a little nerve wracking as we didn't know what to expect. As it happened there were very mixed reactions towards Rosie and her obvious 'difference' but that's a discussion for another time! We had a fantastic time in all and met some truly beautiful families camping next to us from Amsterdam and Yorkshire respectively. 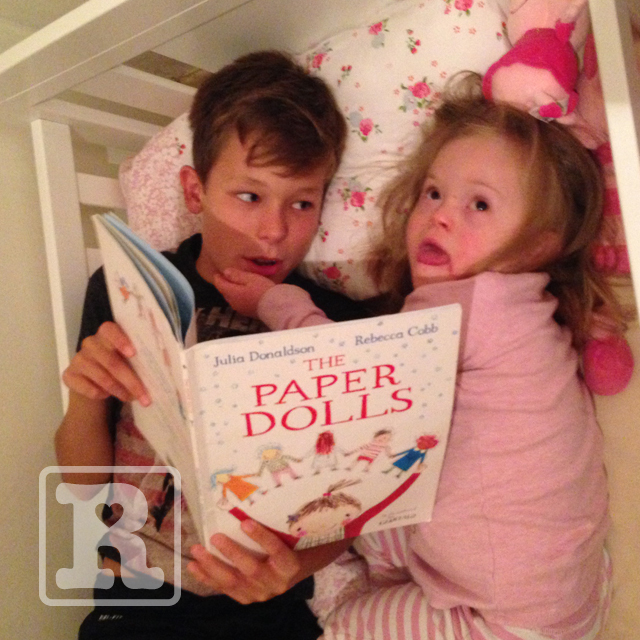 The children of both families really took to Rosie and enjoyed entertaining her as well as being entertained! Rosie certainly made an impression on others too as she became the 'on-site alarm clock' with her rather loud morning vocal performances (my apologies to those that wanted a lie in). I was really proud to hear that one of our neighbours had recognised one of the songs to be from the film 'Frozen'. Whilst understanding the words Rosie sings may be tricky at times, you can't mistake how tuneful she is! Rosie especially loved the swimming pool and (eventually after many attempts) the crashing waves in the sea too. One thing the holiday taught me was just how demanding Rosie is now becoming. 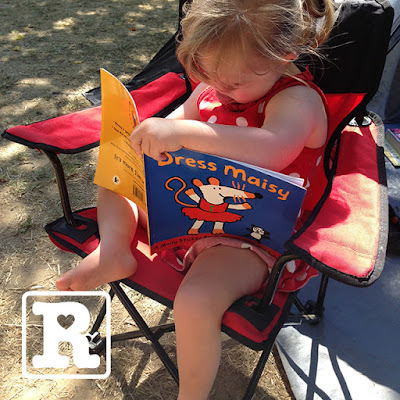 Being in full-time employment (like many parents) means I only get snippets of time with my kids in the mornings and evenings, so having an uninterrupted two weeks together opened my eyes to how much time Karen spends being at Rosie's disposal with almost no time for a break. 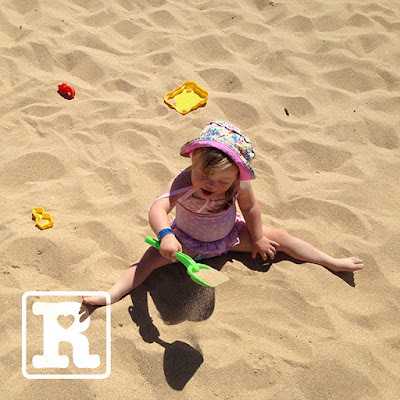 There was a brief moment of alarm at the beach one afternoon when Rosie had somehow dissappeared from sight of our group – like some sort of Houdini act. There were six adults and umpteen kids so how she managed it is still a mystery. It was only a matter of seconds realising she wasn't there amusing herself in the sand, before two young French ladies a few meters away were waving for our attention. Sure enough there was Rosie – blissfully unaware of our panic and happily rifling through one of their handbags! As funny as the beach scare was (in the end) it also made me realise just how desperate both Karen and I were to find rest (even if for a few seconds) from the constant need to entertain Rosie. I know I've said it before but aside from the hospital visits and the open heart surgery, Rosie really has been the easiest of our three children in the early years, so it always came as a surprise to me when I read advice from other parents stressing the importance of respite for parents/carers – something I could never really relate to until now. 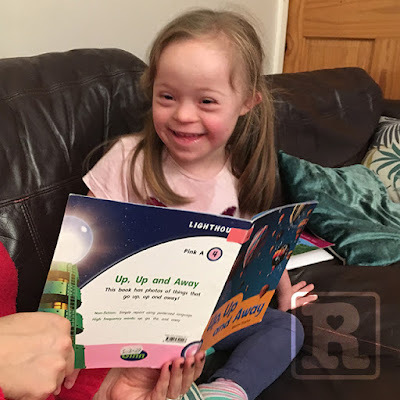 We are seeing huge changes in Rosie – much of which is extremely positive, such as her increasing vocabulary and her mobility but with this has come a need for constant attention – and by that I literally mean every second. As well as her ever expanding portfolio of total cuteness there's an increasing array of shrieks, shriels and outright madam moments! We have come away from our time in France with some amazing memories but I've also recognised the importance of respite for Karen, no matter how small. She deserves a medal to be fair. In light of this realisation I took it upon myself to help out with bath time this week – something I'm rarely home in time to do. I mean how hard can it be? It's not like I've never bathed her before....except I hadn't done it recently and wow I was in for quite a shock! Rosie and I trundled off upstairs to get her ready and I sensed she may need the toilet so I asked her if she needed to go, to which she replied, "Poo, yeah, poo Daddy". Ten minutes passed and nothing – I even looked away knowing she's becoming more aware and doesn't like being watched – still nothing. So I figured she just had a bit of wind and all was normal. I then undressed her and placed her in the lovely, warm, clean bathwater. She had been in the bath all of 30 seconds when she shouted out (proud as punch), "Poo Daddy". Sure enough she had...IN...THE...BATH! Like any experienced parent I quickly disposed of the evidence without too much fuss, then as I washed her she produced another – I was now struggling...BIG TIME. I could almost hear Karen fist punch the sky in pure delight that it was on my shift! The whole thing from there on became nothing short of total carnage. As I emptied the bath and turned on the shower to wash her down again she tried to escape, slipping in the process and bumping her head, as I grabbed her she slipped from my grasp and then managed to bump herself on the tap! All in all a complete disaster for Dad at bath time and one which again hammered home just how much Karen does juggling our three kids. Post-bath was much more chilled and eventually Rosie dosed off in my arms – a moment I held onto for longer than I should've given how far past her bedtime it was!